I love the chance to get really dressed up as much as the next fashionista......however the opportunities are few and far between these days! Proper big nights out seem to a thing of the past in this household, it's so rare for me to have an occasion to don a frock. We mostly go around to friends....or they come to us. Otherwise it's an evening in the local, a nice Sunday roast somewhere or an early evening dinner with our 10 year old DD in tow. Is this sounding familiar to you ladies? I still like to make an effort but the places we go tend to be a lot more casual, hence my natty blog post title......dressing down is the new dressing up! My ASOS dungarees have been a revelation as they have become my go-to evening wear fare! I have in fact also worn them today for a long leisurely Sunday lunch in one of our favourite places. Who would have guessed that what are essentially overall's (yup....I am getting those comments from the DH!) 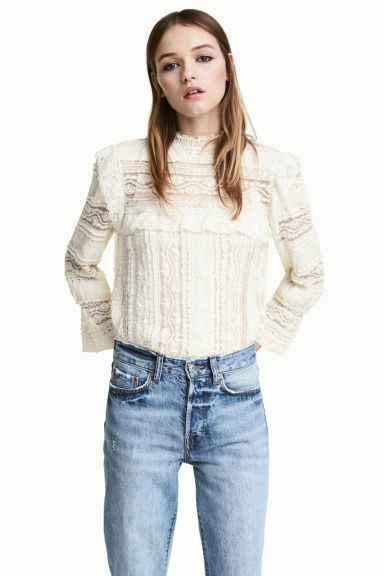 would land up being so versatile and the most worn item in my wardrobe at the moment! 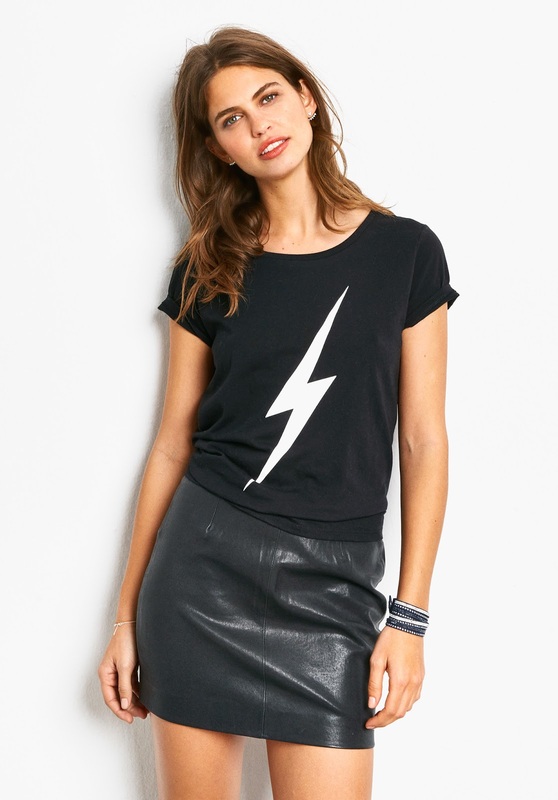 They are just so versatile as they go with so many of the tops in my wardrobe. They really have breathed new life into some of my old favourites. Today I've paired them up with a old silk spotty shirt from Uniqlo. 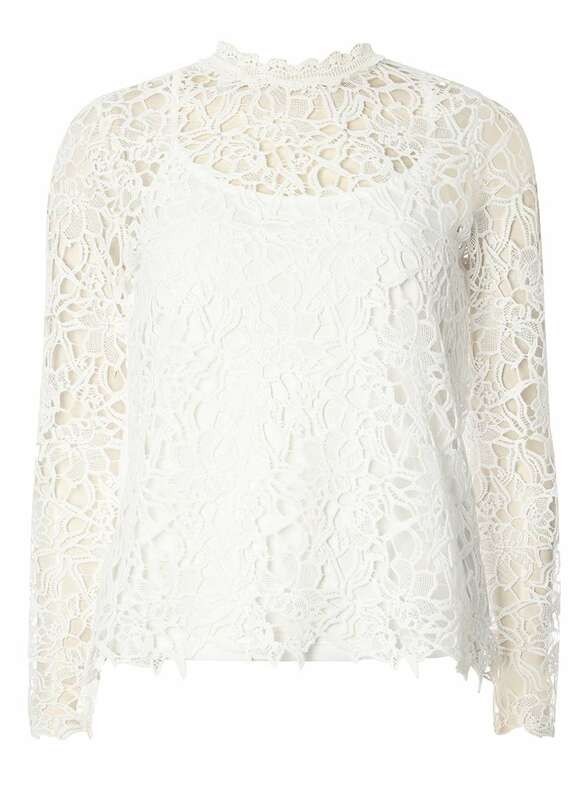 This is a fab alternative from Mango. It's hard to spot the spot in this photo but I hope you get the gist! 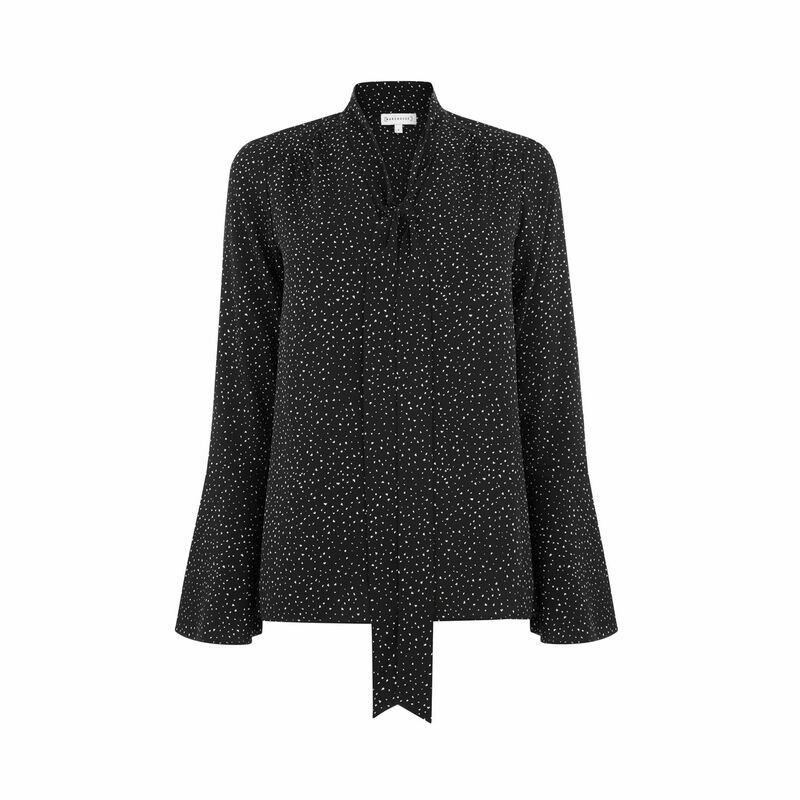 This spotty tie-neck would work well under dungarees too. 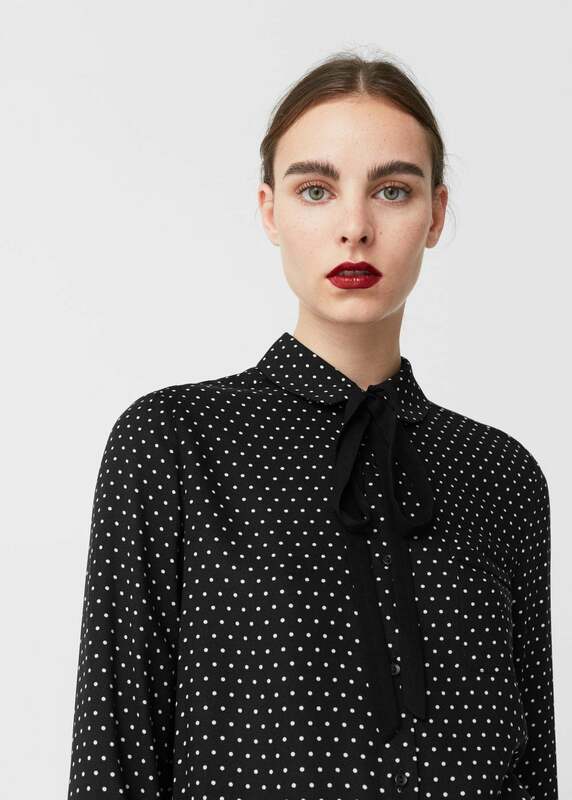 If I didn't have this gingham tie-neck shirt (below) from M&S I would definitely be considering the above Warehouse one. 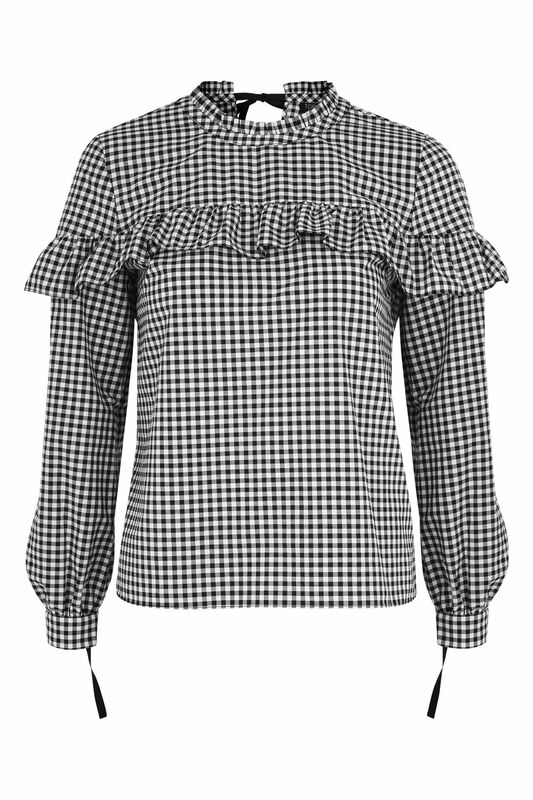 The gingham does look great under the dungers......this frilled one is very pretty! You may recall this outfit from last Sunday when I went to a friends for lunch. 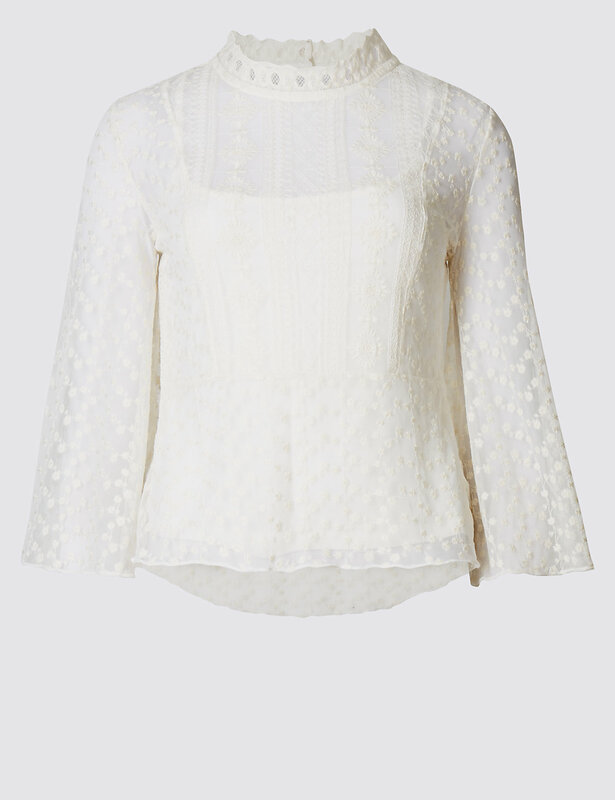 Again this M&S top has been in my wardrobe for a while so it's no longer available but this Urban Outfitters one is oh-so similar! 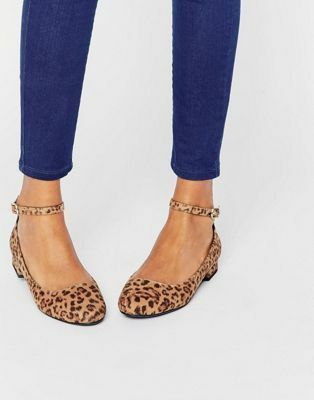 And of course I couldn't leave out my bargain Zara blouse which looks fab with the New Look leopard print Mary Jane's I bought recently. 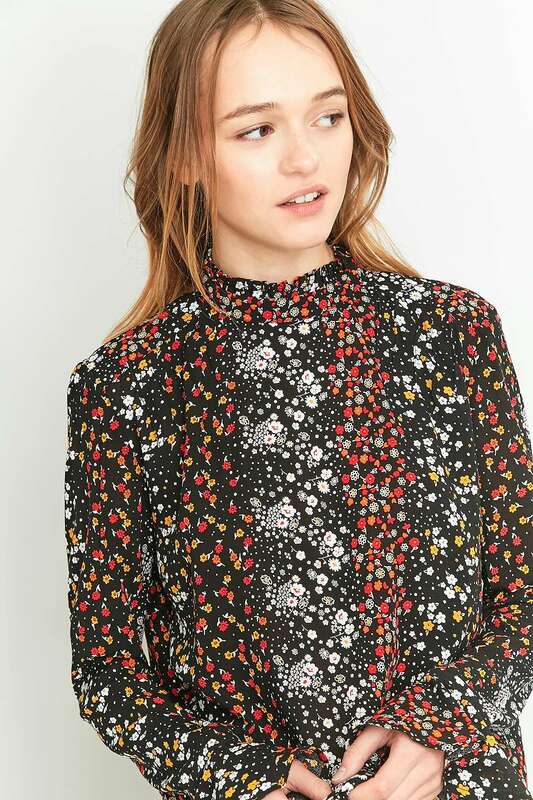 I suspect the Zara blouse is long gone but there are a plethora of gorgeous ones to be found on the High Street.....kicking off with this one from H&M which I think rivals the Insta-famous Monsoon one but it's practically half the price! Right....that's enough of me waxing lyrical about the dungarees today. I think I'm going to do another post like this with slightly dressier options....I never did get a photo of what I wore on New Year's Eve when I did actually wear a dress! If there is any other occasions you would like me to cover (it may mean unearthing some gems from the darkest depths of my wardrobe) then do give me a shout. The rest of the weekend outfits! I would love to know what you wear of a night out if your lifestyle sounds a bit like mine! Please do share.....it's always good to hear what other options that may be lurking in my wardrobe that I am possibly overlooking! My wardrobe is begging for some colour. There is no doubt about it. When I look at my Pinterest board of things I've bought recently, it is most definitely crying out for something to brighten things up. I've flirted with the idea of pink but I'm now coming around to the idea of more red instead. Red goes with so much more of what is currently residing in my wardrobe.....camel, leopard print, khaki, not to mention the obvious navy, white, grey and black. It's infinitely more versatile than any other I can think of for me. 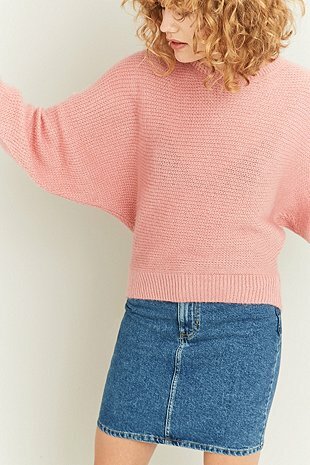 When I bought the black ASOS dungarees a couple of weeks back I started trawling the net to try and find a Merino sweater that would work under them. After much research I finally took the plunge and ordered this. I've also introduced some new red shoes to my ever-growing footwear collection. I scored a real sale bargain in good old M&S a couple of weeks back by snapping these suede beauties for £14.99. These will be just the thing to liven up a few more outfits. They are long gone from the M&S website but you might get lucky instore. If you aren't lucky enough to nab the M&S ones these are a fab alternative and just happen to be another brilliant bargain too! 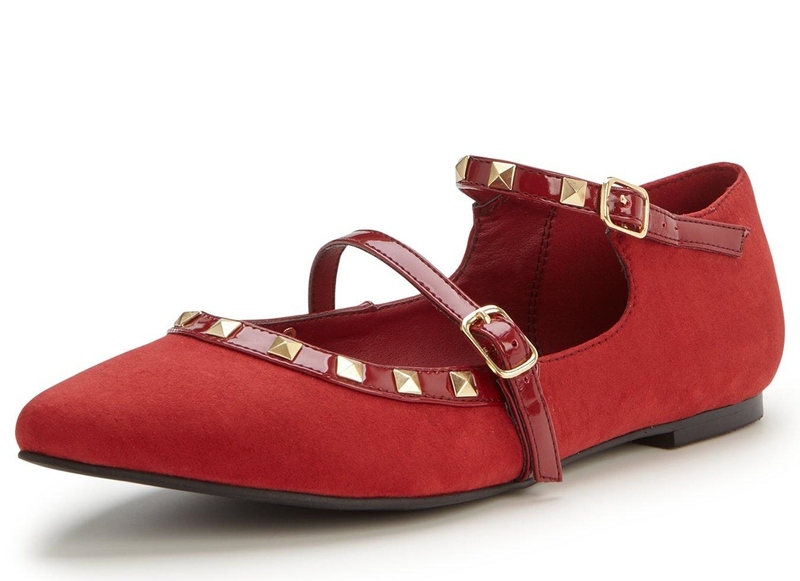 They have a whiff of the Valentino Rock Studs about them don't you think?! 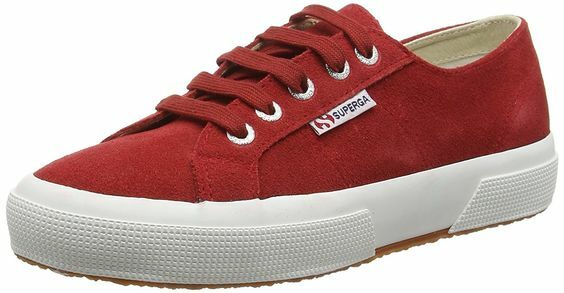 I already have some red suede Converse.....however if I didn't have a red trainer in my arsenal I'd be sorely tempted by these Superga. 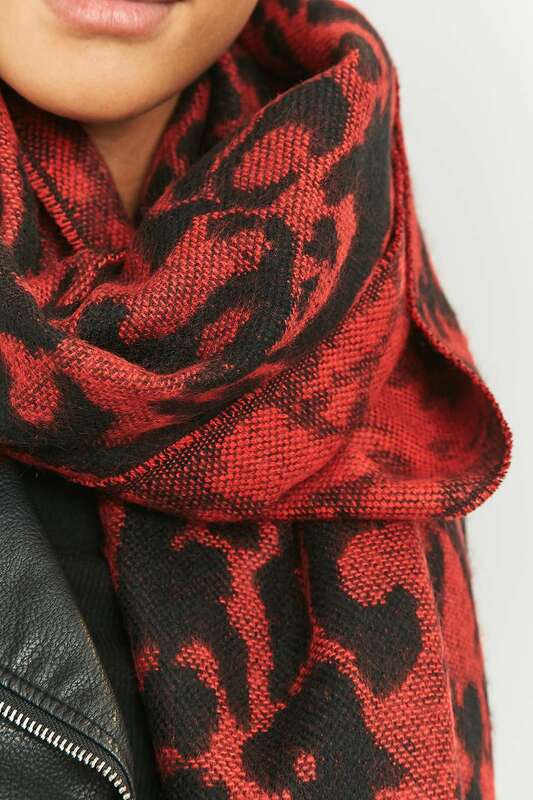 I'm much more in my colour comfort zone with a splash of red and although it's probably gone past the time for buying woolly scarves I figure it is still going to be chilly for the next few weeks so it's totally worth purchasing this one for the £6 price tag! Shooting off into town this morning hoping to pick up in Urban Outfitters as I love this blue camo mix one I purchased in the sale before Christmas. Last but not least! 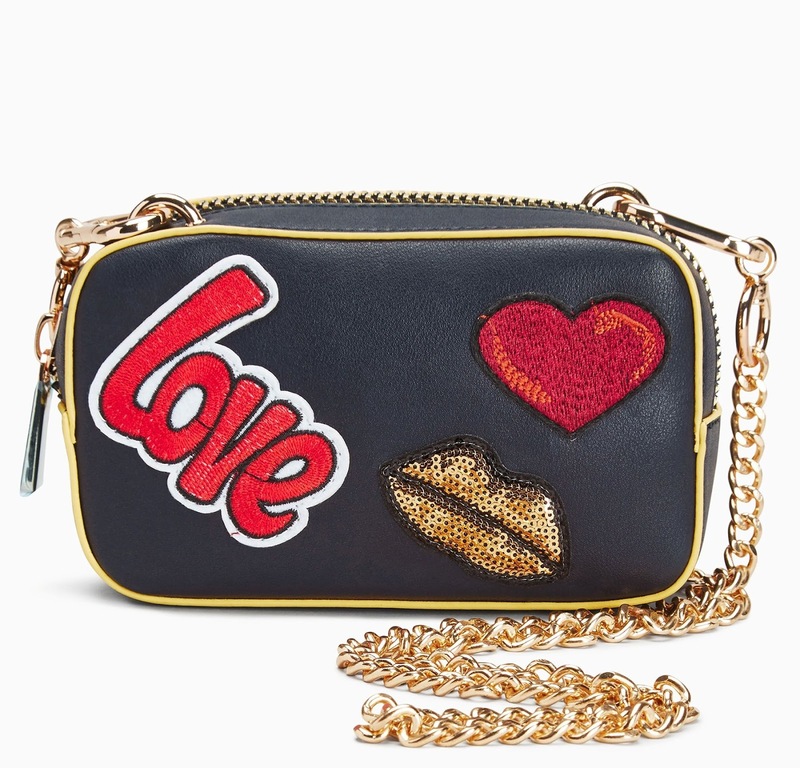 I've added a new red lipstick to my make-up bag! 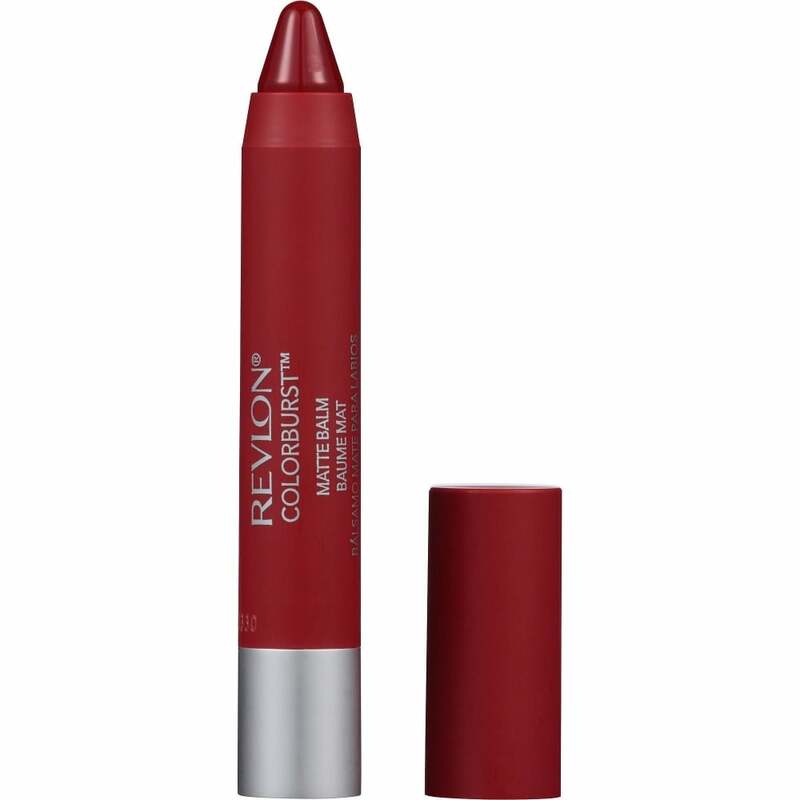 It's a darker red than I normally wear but I'm a huge fan of these Revlon balm's! This shade is my new favourite. I tend to blot the colour a bit so it's not quite so intense. I'm not sure that red is set to be the *IT* colour for Spring but I am just happy doing baby-steps to get a bit more colour in amongst all the neutrals hanging in my closet! 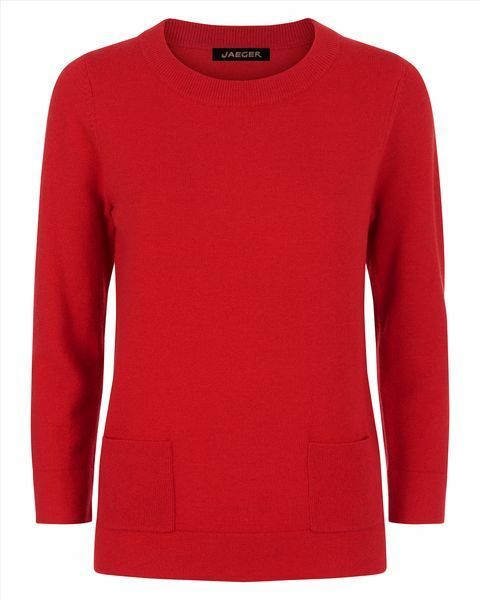 What colour are you adding to your wardrobe to give it a lift for the new season? I'll be back in a couple of days......I've been giving some thought to what I wear for my new *staying in is the new going out* lifestyle! That's the dry January effect for you! 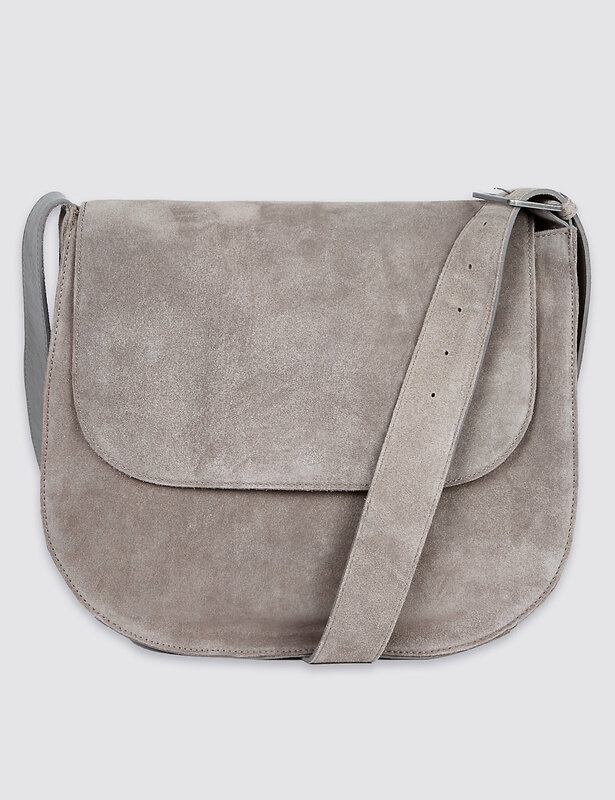 Now I've picked up a couple of sale bargains and a treat or two I'm turning my attention to a few classic basics to bag for Spring. First thing on my mind is a new jacket. 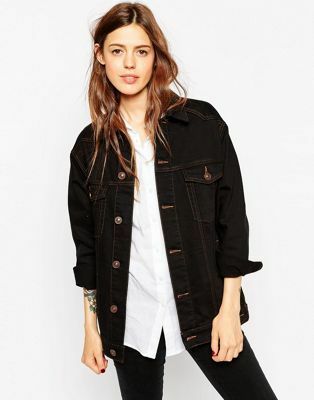 I've already purchased this Topshop shackett but a little while ago my mate Sue sowed the seed after she picked up a black denim jacket in Primark. Every time I go into Primark I look for one but I've never been lucky enough to find it. I've now decided I *NEED* one. So I got researching. I knew what I was after, an oversized boyfriend (or girlfriend) style was exactly what I had in mind. So this one is now winging it's way to me. Now, I dipped my whole foot in the band t-shirt trend last Summer (four of those at the last count) and to be honest I overdosed on stars too. How's about this to lighten up your t-shirt collection for Spring? I am always searching for a good alternative to wear instead of jeans. I actually picked up these trews at the end of last Summer and bought them in navy pinstripe too. I think these are going to feature heavily here once it is ankle baring weather. I am so looking forward to wearing these again. 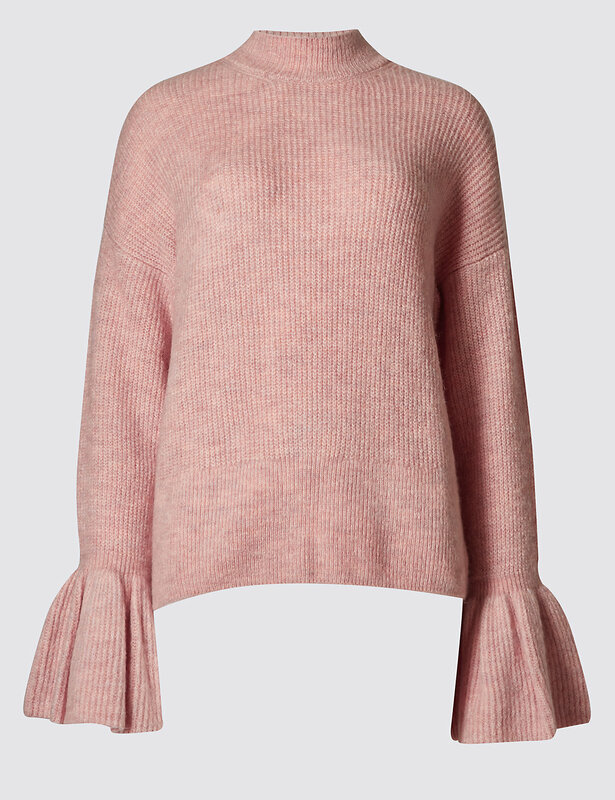 They are back in stock again and I hope they become a line that H&M do every season as they are most definitely a wardrobe staple! N.B I sized up and bought a UK 14 in these, I'm normally a UK 10 but I prefer the slouchier look. I also unstitched the hem on mine and rolled them up! And lastly....more shoes! I lived in my white Office Dapper loafers last year. 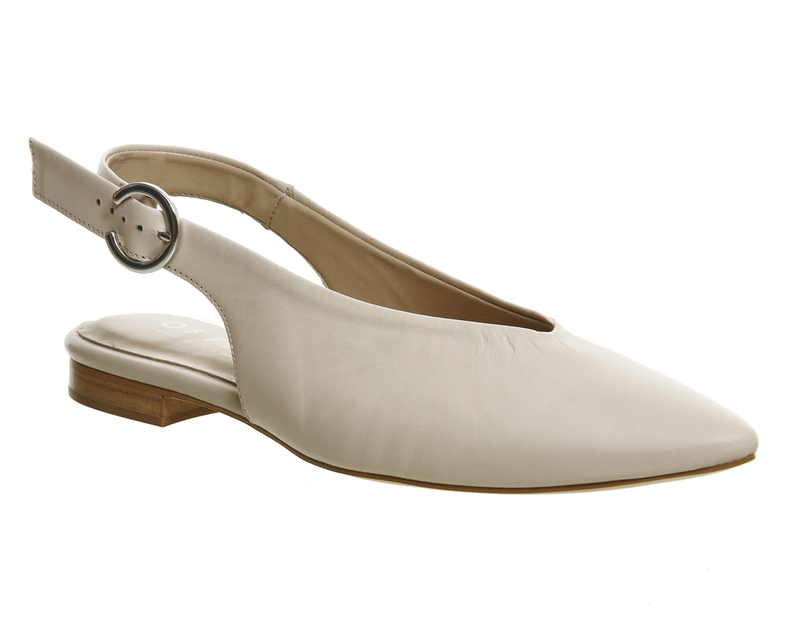 Sadly they are looking a bit tired now so I've been looking for an alternative white shoe as they were so useful. They went with so much. 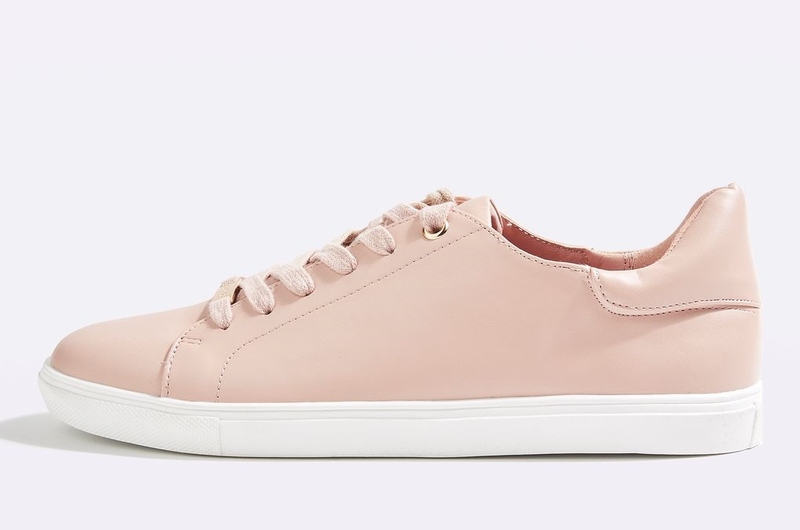 I love these from Topshop but I think I'd like a completely different shape and these seem to fit the bill. 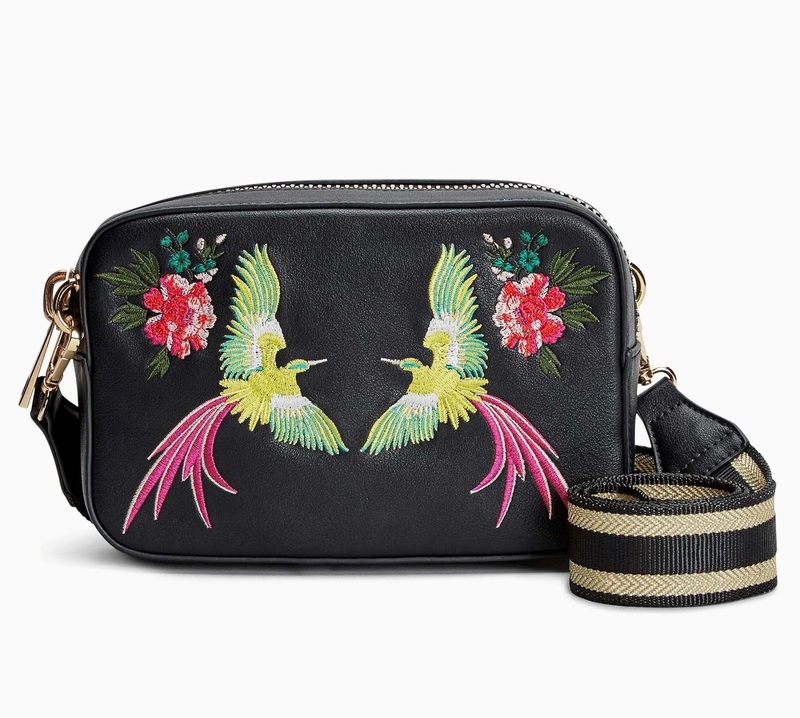 They are reduced, with most sizes left but there is another more purse friendly option here. Have you ear-marked any potential wardrobe classics for Spring yet? What must-haves are on your wish list? Do share! As per usual, finishing with my outfits from the past couple of days. 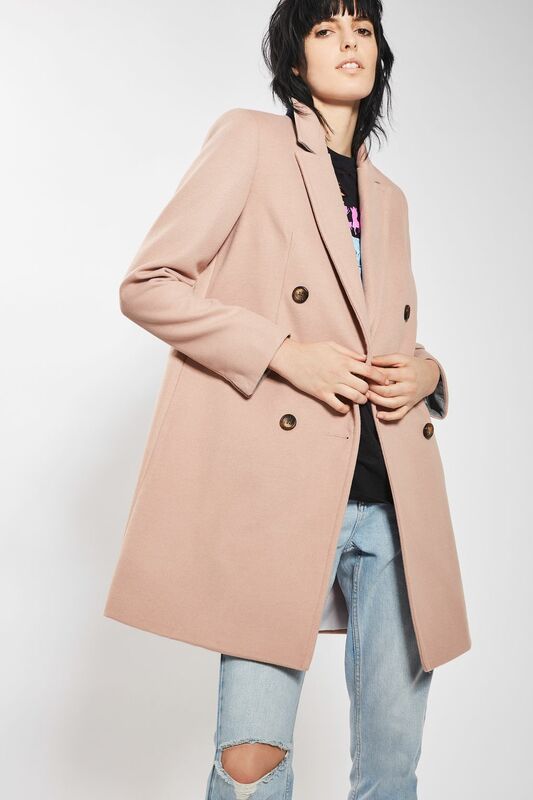 I find myself continually checking the *New in* on all of my favourite retailers and I am frequently updating my current cravings (above in the sidebar) with any newness that catches my eye! Until then, wishing everyone a lovely week! If you are in need of a little pre-payday treat to beat off those January blues then I think I may have found just the thing for you! I am a lover of all things metallic.....bit of a magpie me! 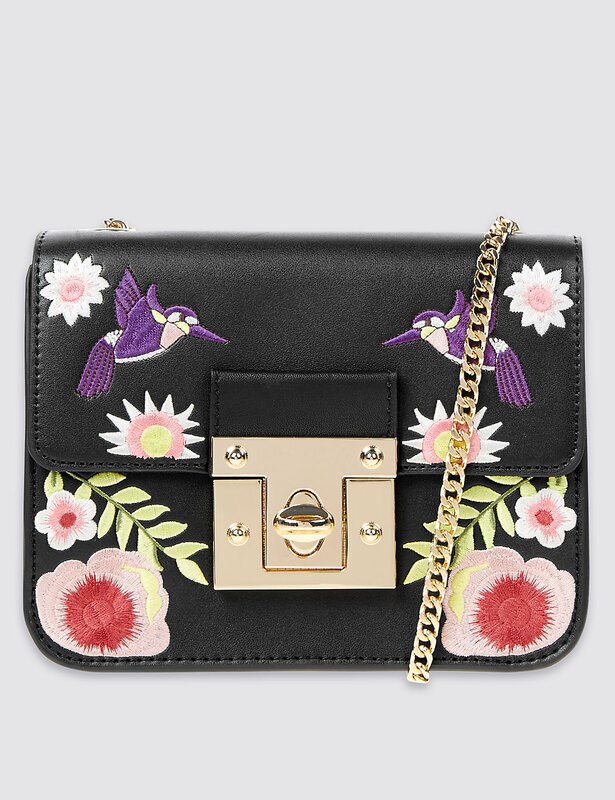 I am also a sucker for bags, so when I saw this little camera bag I zoomed in on it (pardon the pun!). A fabulous mid-week/almost end of January treat for just 20 quid! A couple of shots of the bag in real life! 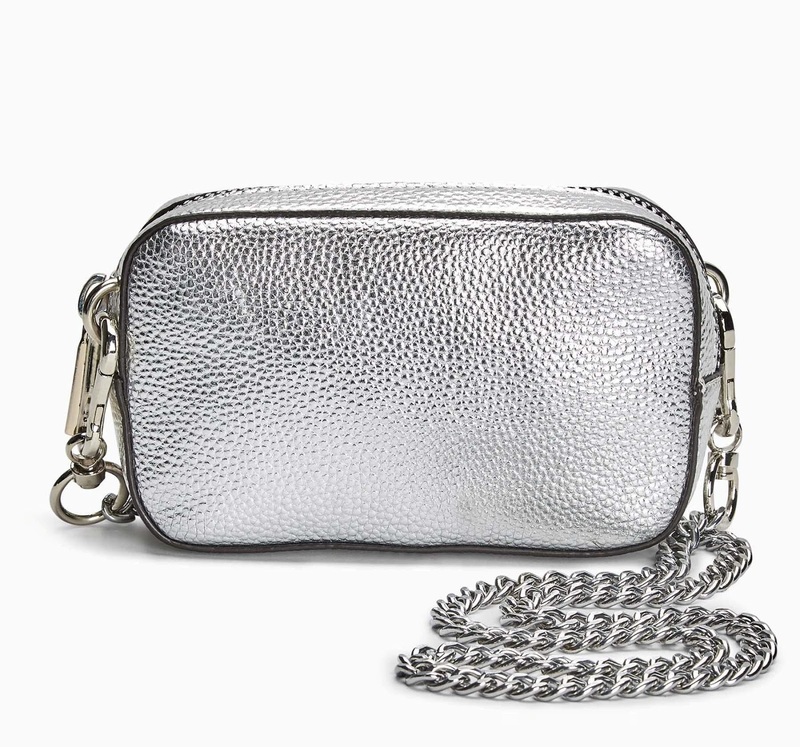 It's a perfect size and shape for my purse, sunnies, keys and a lippy! Very cleverly Next have also done some mix'n'match straps you can interchange. Perfect for mixing your look up a bit. My personal favourite is this jewelled snakeskin one. I bet this one will be a firm favourite amongst us ladies....leopard print being a neutral and all that! A pretty floral one too! I should have titled this post *purchases of the week* as I have another small wardrobe-refreshing addition to confess to. Since it has a been a dry January for me I've saved myself a fair bit of dosh........well that's my justification for quite a lot of self-gifting this month! Thinking ahead to Spring (bare ankle weather at least!) I couldn't resist these leopard print Mary Jane's. The new bag was out in force with today's outfit! Have you made any January blues related purchases? Are you still scouring the sales for the last (and possibly the best bargains) or are you fully focused on all the new season loveliness that's hitting the stores? I would love to hear.